Earlier this year 2016, GTBank PLC launched a one time Prepaid MasterCard that can serve their customers well in various transactions. They are proving to be one of the best leading e-payment banks among all other banks, isn't that true? This very card issued through internet banking, provides you an added comfort for security consciousness. For those who are online shoppers, that prefer not to use debit/credit cards when making any online payments, can as well use this very Virtual MasterCard. 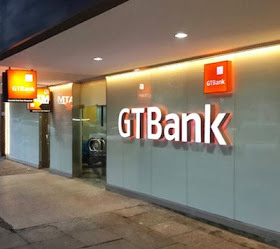 √ READ ALSO: How To Get Virtual Mastercard From GTBank without going to their Bank. ==> It is Accessible: Wherever MasterCard is accepted online, you can make use of Virtual Mastercard there. ==>Get it Instantly: If you require for the Virtual MasterCard, it will be delivered to you instantly. ==>Flexibility: This very MasterCard can also be loaded through your existing Account using internet Banking. ==>It is Safe: The card makes way, for you not to go about with cash before you can make your transaction. ==>It’s Prepaid: it is loaded through internet Banking. ==>Buying Online: With GTBank Virtual MasterCard, you don't have to border your self traveling before you can shop. With this very card, you can shop on so many international online stores like: Amazon, River Island, ASOS, Victoria secret and many more online shopping websites. ==>It is Virtual: You need not carry the card about for your online transaction, since its always available on your internet Banking. ==>It is Secured: The card works on the existing GTBank Internet Banking state-of-the-art secure technology platform. ==>Back-up plan: The card serves as a replacement for a forgotten or lost card, may be you needed to make an urgent online purchase wherever you are at the moment. ==>The Card is Convertible, As it can be converted to a physical debit card on request. √ RECOMMENDED: Guide On How To Open A US Bank Account and Get the MasterCard in Nigeria. if your GTBank ATM Card is not valid or damaged, you can go ahead and make use of Virtual Master card for your online transactions. Have any contribution to this post, do well by using our comment box below.